Hot water heaters, because of their function and placement in a home, present a significant risk of water damage. These appliances come in too many varying sizes and configuration to present a comprehensive sizing resource. However, we do want to give some general guidelines that help when sourcing a water heater drain pan for your water heater. Water heaters commonly come in a circular or cylindrical shape like a round tank. For this reason their significant dimensional size when it comes to a water heater drain pan is the water heater’s diameter. The manufacturers of the hot water heaters will describe the size of their tanks in volume (based on gallons). So an 80 gallon tank may be large and anything under a 30 gallons small. However, the size of the tank in gallons does not necessarily translate into large diameters in the water heater. In some instances there may be an 80 gallon water heater with a 24 inch diameter and another 80 gallon tank may have a 26 inch. The gallon capacity does not correlate to the diameter. For this reason, when considering the appliance foot print it is important to review the measured diameter when choosing a water heater drain pan. If you don’t know the diameter of your hot water heater you may want to check the manual that came with it. If that manual has been misplaced (which is not uncommon) you can check on the internet. A search for your water heater manufacturer and model number may bring up the information needed. Now that you know the diameter of your hot water heater you can select a water heater drip or drain pan suitable for it. 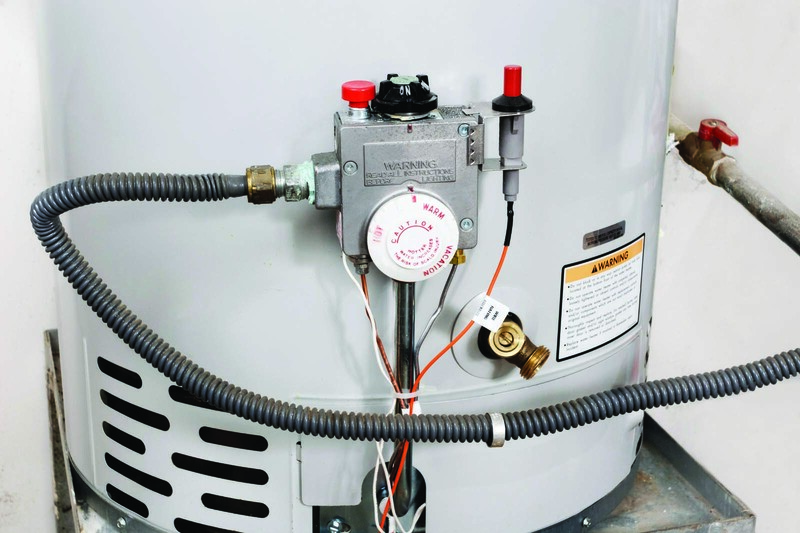 You will want to consider the space in which your hot water heater is placed. Is it large enough to fit a particularly sized drain pan? For other considerations when choosing a water heater drain pan check out our resource - Drain Pan Design Considerations. Killarney Metals has water heater drip and water heater drain pans in various sizes to fit many sizing needs. When using a drip pan for a hot water heater remember that you are not looking to hold the full capacity of the water heater in the pan. This would mean that the drip pan would need to be as big as the water heater tank. A drip pan in this application is used to prevent damage from slow leaks. A drain pan will discharge the liquid and therefore has a greater handling capacity than a drip pan in this instance. Also make sure that you take into account any attachments on the hot water heater. Will these attachments or cords going to the attachments be interfered with by the containment pan. Make your water heater drain pan selection large enough to manage these types of attachments.